Today we are thrilled to be sharing another epic list post with you. 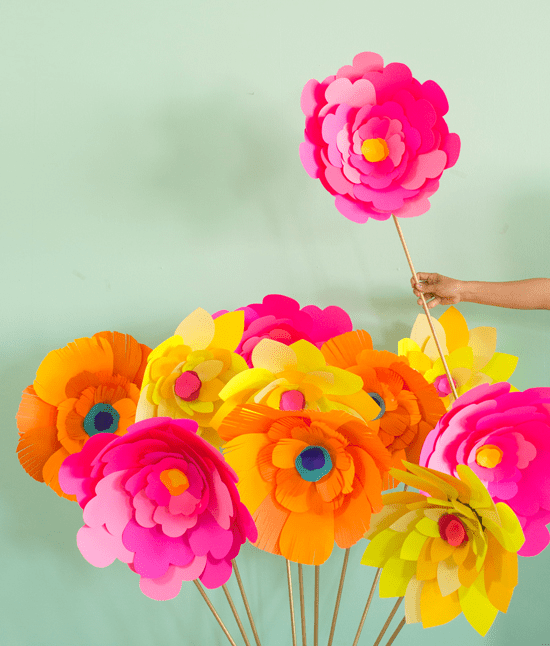 If you are looking for an alternative to real flowers on your wedding day then look no further, as we have compiled a list of 50 unique paper flower tutorials from photo booth backdrops and altars to cake toppers and bouquets just for you. If your a beginner at DIY, don’t let that put you off as we have included DIY’s for all skills levels or perhaps you are worried that you will be a little short on time, we have even included a few tutorials that will take less than 10 minutes to make. So no matter your skill level or availability there’s a flower DIY in here with your name on it. Want more creative wedding inspiration? Follow us on Pinterest.